Here at FASLANYC we are concerned with urban industrial canal landscapes throughout the Americas. The reasons for this are many but the most important are 1) they are ubiquitous- during the canal boom early in the industrialization of the Americas canals were built in every region throughout North and South America. If you live in an American city that dates to the beginning of the 19th century or before you probably have an old canal or its vestiges nearby. 2) they are heavily polluted- the industrial operations along the canals have left a legacy of heavy metals and petrochemicals soaked into the surrounding environment, almost without exception. Due to their location in the heart of industrial and post-industrial cities that are also population centers, the health and safety risks associated with the canals, and public awareness of them, is an important issue. 3) they are generative- we’ve looked at the ways that canals and other terrain vague sites can generate new modes of operating– recreating, working, and living- in the otherwise highly structured city. 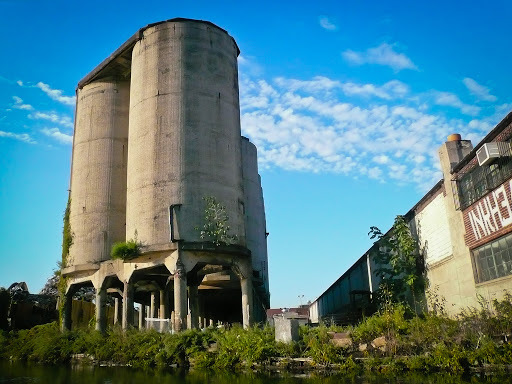 This is precisely because of their industrial forms, the presence of water and land together, their surrounding context, and their state of abandon offer an opportunity to agents- weeds, birds, skateboarders, and explorers- that might not otherwise find space in the city. 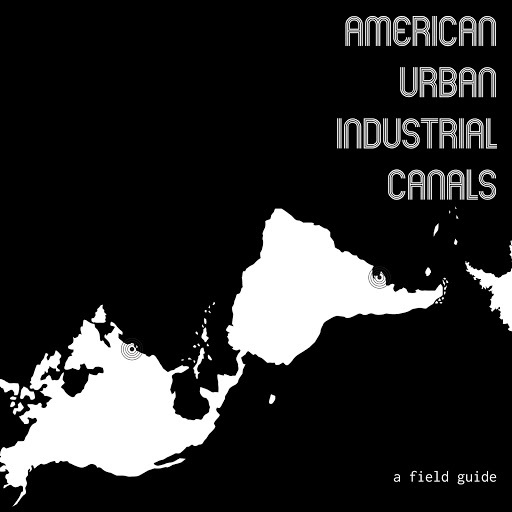 In recent months we’ve assembled a field guide to urban industrial canals in the Americas and just uploaded it to Issuu. It is divided up into three main sections- ecologies, taxonomies, and operations, in addition to defining some of the history and terms useful for understanding this landscape typology. If it’s useful and you get a chance to use down on your local canal, we would love to hear about that. In the meantime, this week we’ll be publishing excerpts from the Ecologies section of the canal field guide. Today’s excerpt- Hydrology. To obtain the slackwater (slowly moving water) needed for canal traffic, any navigable canal is constructed using some combination of three techniques: cutting a new channel where none existed, dredging, or canalization of an existing waterway. Dredging operations are almost always used during and afterwards in order to maintain the canal channel and is really a horse of different color. Nonetheless, all three operations have in common their effect on the hydrologic ecology- they regularize it. And they do this in both its route as well as the shape of the water channel itself. The regularization of the waterway usually means making the route straighter, the sides more vertical, and the bottom flatter. It is important to remember that a hydrological system is a dynamic thing that usually wants to shift and change according to a change in global climate patterns, a shift in the Earth’s tectonic plates, a particularly high tide, or simply yesterday’s thunderstorm. This regularization is realized with structures known as bulkheads that essentially make a hard edge between the water and the land. The reasons for this are twofold which we will look at in a bit of detail: canals are made for barge traffic, and urban canals were located in cities. Barges are essentially large floating platforms for the transportation of heavy bulk materials- coal, iron ore, grain, vats of petroleum- this is the stuff that the industrial revolution was made from. In huge quantities. These barges are designed to carry tons of this stuff and allow it to be loaded and unloaded easily and quickly, first by men and mules, later by gantry cranes and conveyors. Of course, this means that they have specific dimensions and maneuvering capabilities which are not very flexible, and so the canal edges had to be designed and constructed so as to allow them to maneuver and dock. This meant no more meandering streams with soft edges and boulders and sand bars in the bottom- the course is straightened, the edge is reinforced, and the bottom is deepened and flattened. 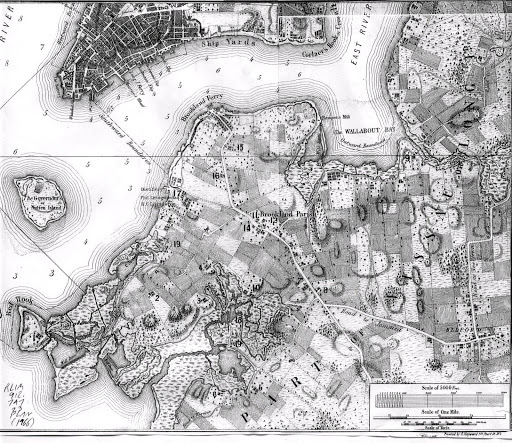 As for the urban canal, the lands adjacent to the waterway were often too valuable to leave as sloped earthen banks. 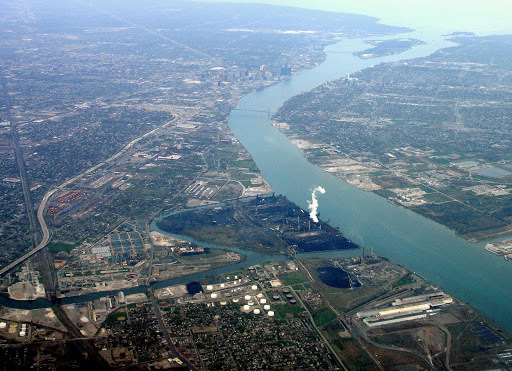 Often factory yards, docks or loading equipment needed to be directly adjacent to the canals in the city because the factories were there and the materials needed to be unloaded. This called for not only a reinforced edge, but a vertical one, as more flat usable land could be claimed this way, and the barge could dock right next to the loading yard and equipment. The effect of these measures on the pre-industrial hydrology can be imagined. The plants, animals, and microbes that rely on a moisture gradient and open ground along the banks of the former waterways are all obliterated. An iconic example of this is the Gowanus Oyster of Brooklyn, New York. Once upon a time the Gowanus Canal in Brooklyn was once a meandering tidal creek whose brackish waters produced oysters so succulent and sizable they were harvested by the Dutch settlers and shipped back to Europe by the barrel-full. In the 18th and 19th century before the advent of the hot dog stand it was oyster carts that dotted the intersections throughout Brooklyn. With the growth of industry and the concomitant population explosion in Brooklyn in the middle of the 19th century, the old Gowanus Creek was channeled and deepened to create the 1.8 mile-long canal, finished in 1869. This allowed for brown sandstone (“brownstone”) and other construction materials quarried in New Jersey and upstate New York to be brought into Brooklyn, where they were used to erect the future mecca of Hipsters and Hassidim. This development entailed the utter annihilation of the Gowanus Oyster. The channelization of the banks has further implications, especially regarding the rate of water flow- it increases it. Increased flow rate serves to help scour the bottom of the channel, lessening the need for constant dredging. But a canal in an urban setting can also be imagined as a river, wilth all of the gutters and storm sewers and streets acting as ephemeral streams shooting surface water into the canal during rain events. In addition, many canals are affected by tides and may contain brackish waters, such as the case of the Newtown Creek in Queens, New York. This twice daily ebb and flow and mixing of nutrients and salts can work to stimulate biological communities, flush out chemicals that have accumulated in the canal, and cause metal structures to corrode or alter faster. Because of this, the canals in cities along coastlines exhibit some of the most drastic change over time, and present great opportunity. Ultimately, the structures and operations of canal-making might be seen as a kind of prosthesis grafted on top of an existing hydrological pattern. Usually the result is intensified disruptions- storms cause higher rises in water level, faster rates of flow, and a more severe line between what is wet and what is dry. With the passage of time, many of the patterns attempt to reassert themselves, pushing down bulkheads, depositing sediments and if constant work is not done to counteract this change, then the hydrology will begin to alter or destroy the bulkheads depending on their construction, or deposited sediment will accumulate. Whatever the state of push and pull between the water and the structures in any given canal, it is the presence of this water- and all of the nutrients and chemicals and sediments in it- and its effects on the surroundings that is responsible for a great deal of the possibility and generative capacity of the landscape. Was this a project you did as part of your studies this semester or as part of the research for your's FAD's and Mammoth manuals piece or just something additional you did on the side?Looks great regardless. To bad no canals in my inland town.I wonder (and perhaps it is a semantic point) could you have a canal that you made less regular(ized) as a part of a reclamation/re-ecologizing process, and yet have it still be useful as a canal? Hi Nam. This canal field guide is pulling on several different interests and efforts, including the work FAD and Mammoth and I did together for MonU, but this actual document and the bulk of the research behind it was done as part of my academic and field research for a studio class (there are some important acknowledgements in the front). Thank you for the compliment. There’s still a formatting error that I saw yesterday which I’m trying to work out. I think your question is a good one and I’d love to know your thoughts or suggestions on that point. One interesting aspect of these canals is that they tend to become less regular over time, whether part of a project or not. Simply, things grow or bulkheads break down, or sediments accumulate and aren’t dredged. Whether this deregularization could continue and still use the waterway for movement of massive amounts of bulk materials, I doubt it. But then, most canals aren’t used for that any more anyways, and so they seem to call for new imagined possibilities. It is my hope that we might dream up something more interesting and substantial than “uhh, I don’t know, we could make it a park…” But, one could imagine a sagging bulkhead becoming an opportunity for human access to the water, as typically the bulkheads are too high to allow this. Or, large concrete pads and conveyance systems might be utilized to create a neighborhood scaled compost center with windrows and conveyor belts, or floatable wetland modules might be designed and moored to the old bulkheads as there is no longer ship traffic and certain aquatic plants can provide habitat and uptake nutrient loads from the sewage overflows… In rare cases, maybe you could open it back up to shipping traffic, such as creating new stops for a water taxi in a city like New York, for instance. I quickly browsed it and I am impressed. Is it downloadable in some way, for more relaxed reading? And I'm curious … how much work does something like this take? Probably not something that can be done in your spare time? It wasn’t purely in my spare time, though it began that way. The recent article in MonU that Brett of F.A.D., Rob of Mammoth and myself wrote helped refine this particular effort, and I put this guide together over the past year as part of research and design efforts at the University of Virginia.Thanks for the compliment. The hope is that it will be not only interesting, but useful. Not necessarily in the operative sense, but then it’s not a manual put together with lots of resources, but a field meant to demystify canals and encourage exploration and appropriation of them through demystification and suggesting possibilities.It may not be perfectly applicable there in Rotterdam, but if it brings up any questions, ideas, or observations for you I’d love to continue the conversation at some point (either here or via email).